With less than three months to go before the midterm elections, Facebook is enforcing strict new requirements on digital political ads. Among other things, they force political ad buyers to verify their identities by receiving mail at a known U.S. address. But how does the system enforce these rules? How does it even define a political ad, particularly when a computer is making that judgment? And did any ads evade Facebook's detection before it discovered a new set of fake and possibly Russia-linked pages this week? Learn more about how people like you are targeted with political ads on Facebook and the biggest advertisers on the site. After revelations that that Russians bankrolled thousands of fake political ads during the 2016 elections, Facebook and other social networks faced intense pressure to ensure that doesn't happen again. 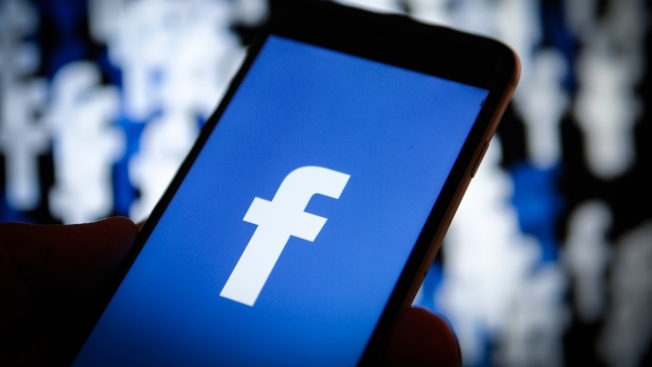 Last fall, Facebook announced that it will verify political ad buyers in federal elections by requiring them to confirm their names and locations. Political ads must also carry a "paid for by" disclosure. Facebook will also archive all political ads for the public, including the details of how they were targeted. The company defines a political ad as any advertisement related to U.S. elections, such as those referencing current or former candidates, political parties, political action committees or ballot measures. It even includes "get out the vote" drives. In May, the company expanded the requirements to cover U.S. ads that touch on polarizing issues such as gun control and abortion rights. But defining what counts as an issue ad isn't always easy. For example, both education and immigration can be political issues — but ads for universities or immigration lawyers generally are not. So Facebook produced a list of "top-level issues" that, if mentioned in an ad, subject it to closer scrutiny. These topics range from specifics like taxes and terrorism to broad issues such as health, poverty and "values" (which Facebook does not define). Anyone can try to buy a political ad on Facebook; it's up to the company to enforce its rules. Yes. Facebook also requires that a political ad buyer must be an "administrator" on the page promoted by the ad. So if Alia Upright is running for Congress, no one can run an ad promoting Upright's Facebook page unless they're listed as an administrator. In the case of political and issue ads, ad buyers must also verify their identity and U.S. mailing address. That starts with submitting a government-issued ID and the last four digits of their social security number. Once that's verified, Facebook will mail a postcard to their address with a special code to be entered online. Political consultant Beth Becker, who owns Becker Digital Strategies, welcomes the added accountability, but says the new rules don't actually fix the problems they address. For instance, she notes, there's nothing to stop unscrupulous but verified people from serving as "cutouts" to run ads for others who don't meet Facebook's requirements. "I think these are band-aids that look pretty to people don't know the systems or understand the social media ecosystem," Becker said. Sometimes Facebook's systems misfire and identify clearly non-political ads as political — for instance, when it took down ads for Bush's baked beans because it contained the word "Bush." Media organizations have also had their ads flagged when they promoted news stories about political candidates or important issues. Such problems can present huge issues for fast-moving political campaigns, many of which depend on Facebook advertising. If ads or the pages that sponsor them are suddenly flagged at crucial times in a close election — say, the week absentee ballots are mailed out — "that would be devastating," says Matt Shupe, a GOP consultant.